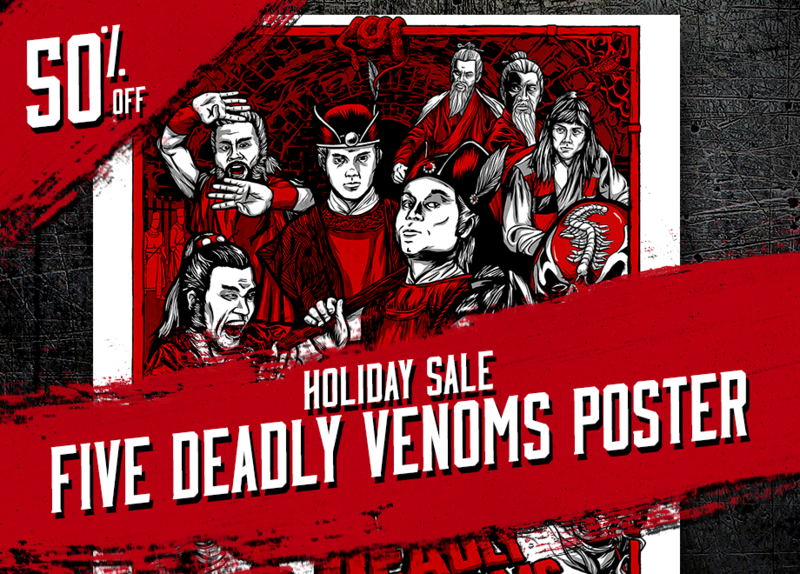 Get the FIVE DEADLY VENOMS at 50% off for the holidays. 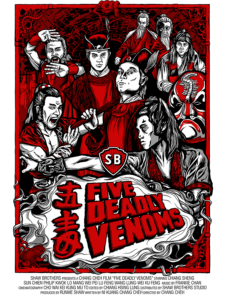 Get it now for $10 for a limited time. 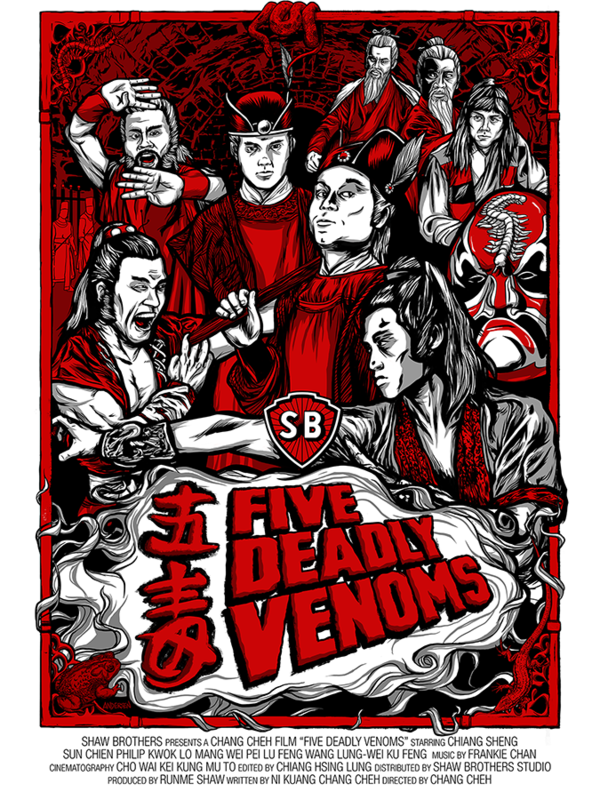 Posters are now available for purchase online on my Etsy store. Sale ends Dec. 25, 2018. Check out more loot in my shop. The CRIPPLED AVENGERS poster should be going on sale next week. There will be a combo for getting both together when it comes out!